Today I talk about the secret to what you value most and how to access it. It’s not about the money, it’s about the one who holds it. What you do, is what you do. Who you are, is who you are. What you do…is who you become. 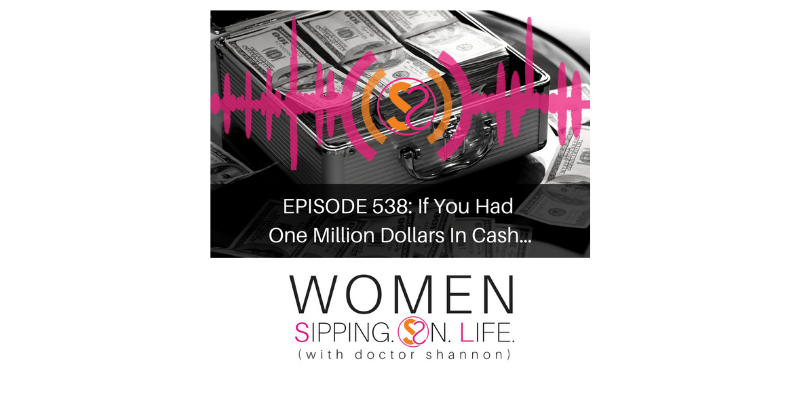 If you had one million dollars in cash, what would YOU do? If you had only one year left here on planet earth, how would you spend it?